Vasyl Stefanyk Precarpathian National University has joined the Great Charter of Universities (Magna Charta Universitatum). 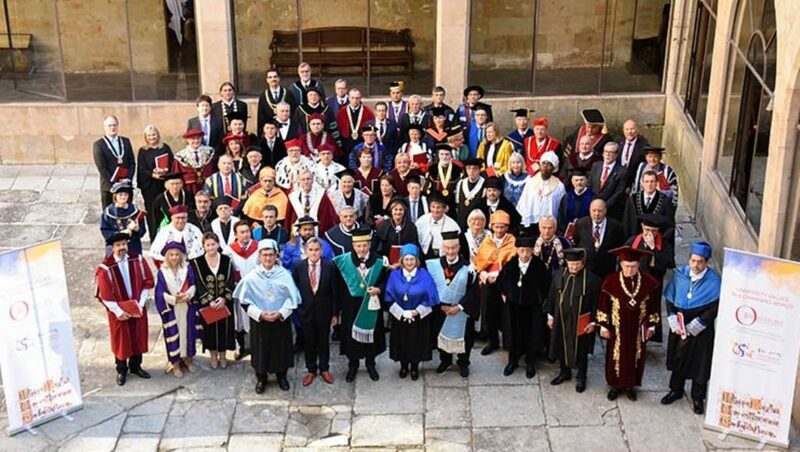 The signing ceremony of the document took place at the University of Salamanca (Spain) on the occasion of the 30th anniversary of the establishment of the Great Charter of Universities. The document was signed by the vice-rector of the Precarpathian University, professor Andriy Zagorodniuk. The Great Charter outlines the fundamental principles of providing the development of education and innovation. It should be mentioned that the Great Charter of Universities was signed on September 18, 1988 during the celebrations devoted to the 900th anniversary of the Bologna University, the Alma mater of European higher education. This document was signed by rectors of 430 European universities then. Nowadays there are a thousand universities as members of the Great Charter.